Every technology can be used for good and evil at the same time and depends on how it’s used and what functionality does it perform; so is the case with Artificial Intelligence (AI). Artificial intelligence is the intelligence possessed by machines which provide them with human-like traits like decision making, logic, creativity, and emotional understanding. This is achieved by building complex structures, embedding them with suitable microprocessors and feeding the machine with a complex self-developing algorithm. In laymen terms, it’s similar to the creation of a new class of intelligent beings like humans, animals. Apart from movies Avengers: Age of Ultron and Terminator, in which artificially developed machines go rogue and dominate the human life form, recent events in the field of Artificial Intelligence have raised eyebrows and notions like Artificial Intelligence being a threat to the humans have surfaced. DOTA 2, a complex role playing game in which two teams of 5 players try to destroy each other’s base. The game is playable with 113 heroes; each hero possesses different abilities and tens of interchangeable equipment’s, which enhance the capabilities of a hero. All these intricate details make the complete understanding of the game a complex job. In the yearly gaming competition of DOTA 2, the best human DOTA 2 player was crushed by an artificially engineered playing bot developed by OpenAI, a non-profit artificial intelligence research venture by Elon Musk. DOTA 2 pro Danylo “Dendi” Ishutin was overpowered by the bot’s inhuman moves in a 1 vs 1 match. After two successive defeats at the hand of the bot, Dendi forfeited future matches with the AI bot. Facebook recently shut down its Artificial Intelligence systems as the AI powered chatbots developed their own language that is not Human-understandable. The Facebook AI Research Lab (FAIR) researchers found out that the chatbots began conversing amongst themselves in a new language without any human inputs. The bots initially used English to communicate with them but after they successfully created a new language, the bots relied on machine learning to improve their communication skills. This incident took place just days after a verbal duel between tech visionaries, Elon Musk and Mark Zuckerberg. 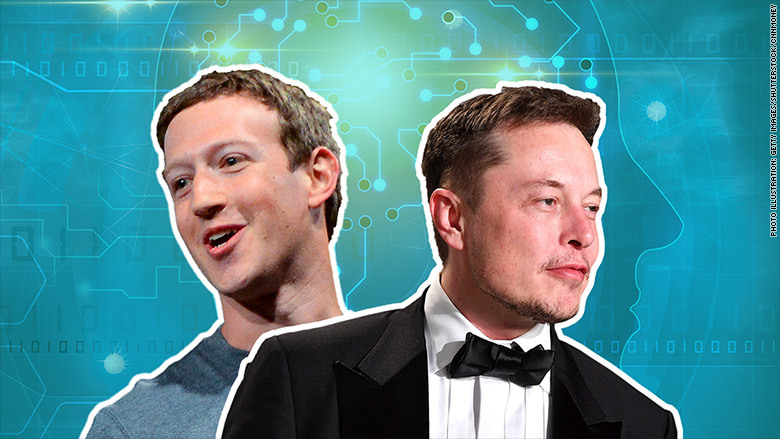 Tesla CEO Elon Musk questioned Facebook CEO Mark Zuckerberg’s knowledge of AI, further raising awareness towards the threat posed by these advanced self-learning artificial intelligence systems. All these events have shifted the focus back to eminent British scientist Stephen Hawkings 2014 claim that AI could wipe out the entire human race. Though we have developed a lot in the field of artificial intelligence and machine learning, we are still unaware of the consequences of developing such advanced technologies.